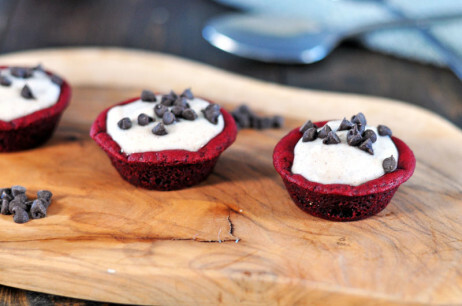 Red Velvet cookie cups filled with traditional cannoli cream. 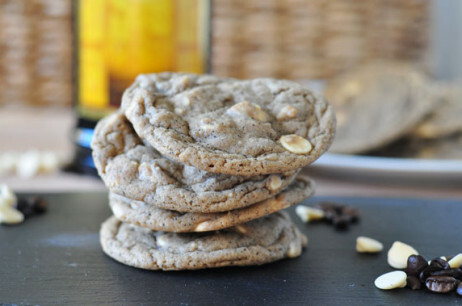 Kahlua White Russian Cookies with ground espresso and white chocolate chips. Soft & Chewy! 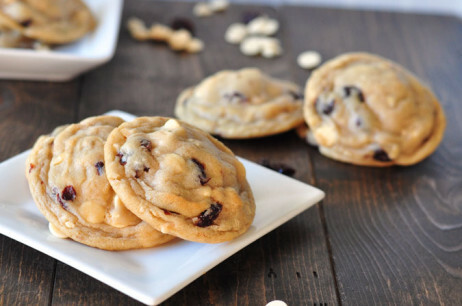 Soft & Chewy Cherry Almond White Chocolate Cookies. 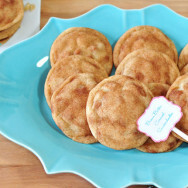 Easy recipe so yummy! Christmas is seriously the craziest time of year!! It’s funny! Have you noticed that people are just different during this time of year? There’s just a little crazy in people’s eyes. Myself included. I am always stressed figuring out my Christmas list. What am I buying? What I am making? Who gets what? OMG!! Did I forget about little Anna??!! It’s just crazy! Hoho-HOMG!!! These cookies are SOOOOO good! And I am NOT exaggerating. Talk about rich, decadent, fudgy pure chocolatey deliciousness. Oh and of course festive fun! Don’t these cookies remind you of Christmas? I was probably deprived as a child…I’ve come to grips with that now….but I don’t think I had my first bite of red velvet cake until I was in college. Growing up my family preferred pound cakes and pineapple moon cakes definitely nothing too sweet. Sugar was going to rot out all my teeth my dad used to tell me….Ha if he only knew what I’d grow up loving…cookies!! 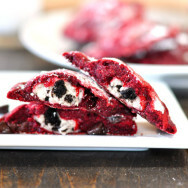 So, when I discovered Red Velvet and more importantly cream cheese icing, I was in love! One of the best things about the Holidays are Cookie Swaps. They only happen really around this time of year, which I am now thinking I should change… Who’s down for a Cookie Swap this coming July? Which is why if you’re hosting the cookie swap you want to make it memorable and fun because you can’t do it again for another year. The basic concept of a cookie swap is this. 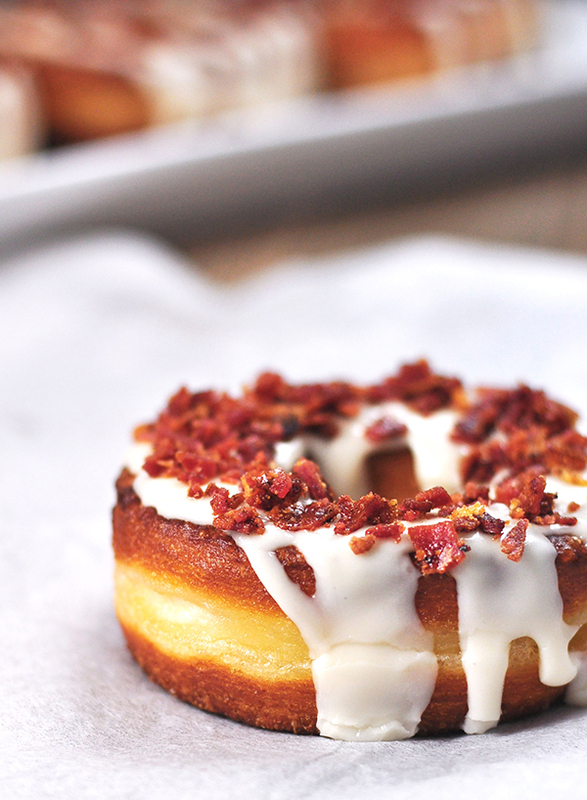 You get together with 8-10 of your favorite friends & fellow bakers. 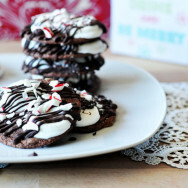 Each person brings 4-6 dozen of one kind of cookie, the recipe and you all swap, drink lots of christmas cocktails (or mocktails) and enjoy delicious homemade cookies with fabulous company. At the end of the night, as host, you provide cute boxes and packaging supplies so your guests can bring their friends and family variety boxes of cookies to share. Doesn’t that sound like a good time?! 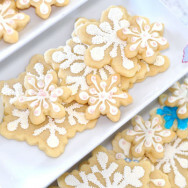 Hosting quite a few cookie swaps in my day & just recently hosting one for a guest post I did at Best Friends for Frosting, I decided to give you the inside scoop on hosting my recent cookie swap and a few tips to make sure your cookie swap is the most memorable cookie swap of the year! I can still remember the first time I tried brown butter. I was watching an episode of Anne Burrell’s Secrets of a Restaurant Chef (love her!) where she made a brown butter tilapia dish look so amazingly delicious and most important easy to make, I just had to try it….and my life was forever changed!! If you haven’t tried brown butter, you truly haven’t experienced all life has to offer it is SO good! 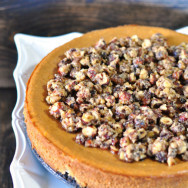 It’s one of the simplest and easiest ways to add the most delicious deep rich & intense nutty caramelized flavor to your dish. Even the smell of the butter browning sends your taste buds into high gear salivating at the flavor. It’s seriously out of this world! Once I tried it I knew I had to use it in a cookie. I am so so excited to have found Best Friends for Frosting and to become a monthly dessert contributor for them!!! My very first guest post was just published and I am super stoked! 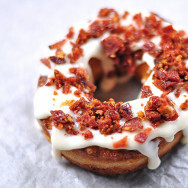 Naturally I had to write about the cronut, the simple fried piece of dough that has been sweeping nation! 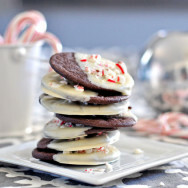 I’ve said it before and I’ll say it again…it’s not really Christmas without Chocolate Peppermint Cookies….what are we barbarians? I love all the peppermint flavors that come out this time of year. Mint chocolate chip is definitely my favorite ice cream, York peppermint candies are one of my all time faves and as disgusting as it is I can eat a whole bowl of the mint melts they used to leave out at the Chinese restaurants…do they even do that anymore? I seriously love those mint melts. Happy Thanksgiving Evelybody!! I can get a little Asian when I get excited! Thanksgiving is such a fantastic time of year. I just get so excited about it! Aside from all the fabulous food, it’s just really nice to have a reminder to take time to reflect on all that we are thankful for. The past 3 months for my husband and I have been a season of transition, growth and lots of change. Good….no GREAT change….but also very scary change. And when your in the middle of it and not sure what the next week, month or year will look like you can begin to focus on the stress of it all and what you need to do get where you want to go but sometimes it’s really nice to remember you can only “do” so much and sometimes you just need to “be”. Be content with where you are, where you are being challenged, where you are growing and most importantly what you have. So that’s what I’m focusing on this Holiday season….just being. One of the girl’s in my small group at church said it best when she said, “when you can just be that is true freedom!”. Hi! I am Liz and I LOVE cookies! Thank you SO much for checking out my blog! I really appreciate you guys and appreciate you stopping by! 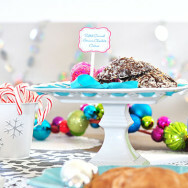 I am a CPA turned cookie baker with a cookie company turned blogger. I hope to share the best cookies you've ever had, tips & tricks I've learned along the way and everything else that makes life sweet! Thank you again! Subscribe to our Cookie Community! Never miss a post and get insider cookie tips & tricks!